Brief explanation: Amarok's support for fetching and displaying of lyrics is very limited. It just fetches from a single provider and many times no results are fetched, sometimes due to minor errors in track/album/artist name. Add some more providers of online lyrics databases. If no results are found this can be coupled with the better tagguessing feature (and even if the tags are not saved), the the lyrics providers can be searched with these guessed tags. Then, improve the lyrics display. Currently it just scrolls at a constant rate, generally that's inconsistent with the actual playback of the song. All .lrc files have timestamps, that can be followed: probably by highlighting the line playing. Expected results: Greatly increase the probability of fetching of the lyrics for any song. In the lyrics display, a highlighted line will display the current line being played. Knowledge Prerequisite: Knowledge of the Amarok code base (hence of Qt, C++). Basic knowledge of webservices. digiKam is an advanced digital photo management application for Linux, Windows, and Mac-OSX. Brief explanation: It would be nice to be able to encapsulate the Export/Import KIPI plugins directly in the GUI of the host application without opening a dedicated window. For the Export Plugins the place to load the plugins will be BQM and for the Import Plugins this can be in the digiKam import tool or in the main view. For this one must factorize the export/import kipi plugin interface and to group the common calls into a virtual interface, to implement tree and list view for the plugins. Expected results: KIPI host apps that are compatible with the project will load KIPI Plugins in the BQM, the others will load the plugins as it's done right now without breaking any compatibility. Brief explanation: digiKam include CImg library to be able to use Greystoration algorithm which give nice fix to image based on Vortex theory, as Restoration tools. Since CImg > 1.3.0, Greystoration algorithm have been moved in a new library named GMic with a completely different API. The goal of this project is to adapt digiKam Greystoration interface to GMic library. Brief explanation: It would be nice to be able show all items from collections in icon-view which has Rating, Pick Labels, and Color Labels attributed, as it's already do with Tags. The goal is to build a tree-view with all Labels available on digiKam and process database query to show items relevant. This view must include No rating, All Rating values, No Pick Label, All Pick Label values, No Color Label, all Color Labels, which must be selected individually or grouped. This Labels tree-view must be available in KIPI album selector widget, as it's done currently for Tags, to be able to export these virtual albums with kipi-plugins. Also, in this project a way to select No Tagged items must be add to current Tags tree-view, to be homogenous with new Labels tree-view feature. Expected results: To have a quick acess tree-view in all relevant gui where Labels can be selected for photo workflow. Marble is a virtual globe and world atlas — your swiss army knife for maps. Find your way and explore the world! Brief explanation: A Tour is a set of related places along with supporting media (text, images, audio, video). Tours can be viewed (playback): The invididual places are visited in a defined timeline. They're useful for a wide range of tasks, like showing an interesting hike along with panorama pictures, highlighting places of interest for sightseeing or showing historic events and political changes happening over decades. The Marble library has been designed to support these use cases, but the user interface does not reveal all the features yet. This project is about changing that. Enhance the screencast feature to generate videos from tours. Knowledge Prerequisite: C++ and Qt. Would-be applicants are expected to work on junior jobs (possibly related to the project). Try to find your way into http://marble.kde.org/dashboard.php#contributors and solve as many tasks and bugfixes as possible. Mentor: Dennis Nienhüser and other Marble developers. An application that is based on the MarbleWidget which teaches Geography in a style similar to KGeography. OR/AND a plugin that extends Marble with a menu entry that invokes a Quiz-style educational game. Mentor: Torsten Rahn and other Marble developers. Brief explanation: During last GSoC a mode for editing ground overlays was added to the experimental editing Mode for Marble. During this GSoC the editing mode should be extended with polygon editing. The resulting editor should allow to create polygons and edit nodes of existing files in a way similar to inkscape. If there is enough time then the editing mode for Marble should be polished so that it can be included with the next release. An editing mode for polygons inside Marble. Adding, moving and removing nodes. Assignment of lables, outline color and fill color. Possibly editing of "holes" inside the Polygon. KStars is a very powerful tool for anyone interested in astronomy. It is part of the KDE Edu suite. Brief explanation: Currently, KStars handles data from deep-sky object catalogues in an SQLite database. While this is working well, there are some more features we would like to have, and some that should be implemented in order to sanitize the deep-sky data handling, such as automatic cross-referencing of deep-sky objects across catalogs, organizing deep-sky data better in the database etc using Hierarchical Triangular Mesh, etc. Expected results: Some, or all of the improvements to deep-sky handling suggested above (or maybe even your own suggestions), implemented completely in solid, release-worthy code. Knowledge Prerequisite: C++, Qt, understanding of astronomical catalogues, some experience with data structures. Look at the relevant code, and propose a tractable plan for implementing some of the improvements within the GSoC timeframe. Implement some of the improvements, producing production-ready code that can be included in the next release of KStars after GSoC 2014. PS: If all this looks daunting, that's because you have not (yet) talked to us. If you're really interested, get onto #kde-kstars and ping the mentors. Brief explanation: If you have some interesting ideas about KStars that can be implemented within the GSoC timeframe, you are very welcome to propose them, because we seem to have run out of ideas. Yet for both it is important to research which libraries already exist and possibly could be reused. Also, research is needed about which techniques for comparing the soundwaves is appropriate. A proposal should already contain verbose information about these questions. Brief explanation: Parley is an advanced vocabulary trainer with features like 8 different learning modes, including flashcards, genders of nouns, conjugation of verbs and several more. A lesson for Parley is encoded in kvtml, KDE Vocabulary Training Markup Language which is an XML format for vocabulary lessons of many different types. But it is a relatively demanding task to create good lessons for Parley. You need to manually edit a list of words in several different languages, add images and/or sound clips to them all, word class, pronounciation, etc. We would like to create a semi-automatic generator for lessons using the Kexi database in the Calligra suite. The workflow will be something like this. You use an import script to import a selected part of the word list in wiktionary.org, an online wiki dictionary, into Kexi. This will then form the basis for the work on the lessons. You define a list of words in the so called primary language, which is the language that the lesson is supposed to teach. This list will be the words only and could be created either using the editor inside Parley or a standard text editor and then import it into Parley. You define which secondary languages you want in your lesson. These languages are the ones that the student is already familiar with. The training session will then consist of translations from one of the secondary languages (most often the native language of the student) and the primary language. At this point you also define which other parameters you want to include in the lesson, like image, sound clip, phonetic text, explanation, etc. You invoke the automatic lesson generator which will search for the words you have defined in the database, look up suitable translations and add the other fields that you asked for. If necessary, patch up the newly generated lesson with missing data that wasn't present in the database or add the information to the database and redo the generation. Define an efficient database schema for the words and translations. Wiktionary.org has 3.6 million entries and even a subset of that can take significant amounts of storage. Implement a script that reads from wiktionary.org and enters the data into the Kexi database using the calligradb library. There is already a script for downloading and parsing the contents of Wiktionary at  but you will have to adapt it to Kexi. Implement the code that searches the database and populates the lesson with the data found. (If time permits) Implement a more advanced lesson editor than is currently present in Parley or a stand-alone editor. Knowledge Prerequisite: Good knowledge of C++ and Qt, a plus is knowledge of of kvtml and the related C++ classes in the kde edu libraries. Also some knowledge of databases and database searches. 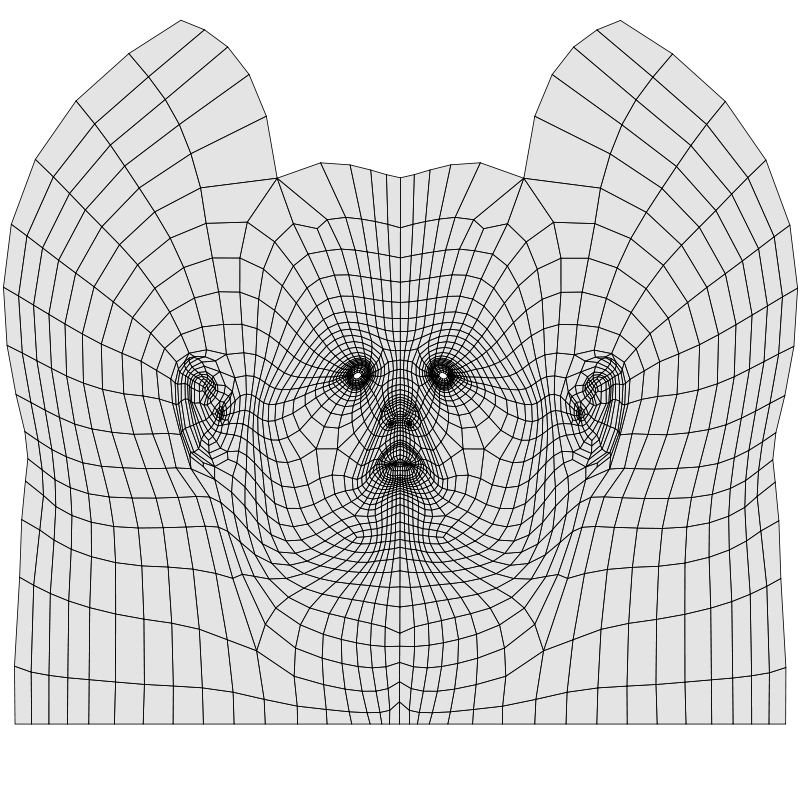 Kig is an application for interactive geometry. Goals: The overall goal is to support Geogebra files in KDE Edu. Because Geogebra is both a plotting tool and a tool for interactive geometry, the stated goal is very broad. For this particular project, we are interested in supporting interactive geometry in Kig. The current progress towards this goal is in the geogebra branch of Kig's repository. Since there is some progress towards that goal, the particular goal of supporting these files in Kig may or may not be smaller than a GSoC project, in which case we can move forward to implement support for these files in the many plotting tools we have in KDE Edu. Be familiar with Kig's filter code: Kig is a large code base, so you are not expected to know everything about it, but you should at least be familiar with how filters are created and be able to modify filters since this will be the part of the code that you will be working with. Implementing everything in terms of a CAS may or may not improve code quality in terms of readability. If it doesn't (and we would only know this at the end of the project), the implementation of this project will not make it to the master branch. Analitza may or may not be up for all of the tasks we need to do in Kig, in which case improving Analitza is an option. LabPlot is a KDE-application for interactive graphing and analysis of scientific data. currently, for the created plots LabPlot uses either the data provided by hand in a spreadseet or by using data imported from external ascii-files. By having Cantor within LabPlot it should be possible to access the data sets created in a computer algebra session (say Maxima) provided by Cantor. Cantor's session have to be integrated into LabPlot's model-view framework and have to be put onto the same foot as all the other objects managable in LabPlot (spreadsheet, worksheets etc.). By calling a CAS-specific command for creating a 2D-plot in Cantor, Cantor creates an external process that renders the plot and embeds the result as a pixmap. Instead of such a static pixmap, LabPlot's plots should be embeded. This would provide high degree of control of the plot appearance as provided by LabPlot. LabPlot lacks 3D-functionality. In the old KDE3-based LabPlot qwt3D was used for this that is not an option anymore. The task consists of the integration of VTK -libs. Also, the relevant widgets for 3D-plot editting should be created in a manner similar for all the other objects available in LabPlot now. Investigate whether it's reasonable to use LabPlot as a frontend (or to extend it to be a frontend) to the functionality provided by Tulip yes, how? GCompris is a an educational software suite comprising of numerous activities for children aged 2 to 10. Originaly written in Gtk+ it's development team decided to rewrite it from scratch in Qt Quick. It has also been decided that this version will be integrated in KDE which is the reason of the project being here. Porting several GCompris activities in Qt Quick. There is a page that tracks the porting effort that will help you select the activity set you are interested in. Creating new activities. There is a list of ideas of activities that have been identified as something we would like to have. You can also propose original ideas not on the list. Writing or porting an activity takes about the same time. The advantage of the porting is that the tuning, the graphishm and the sounds are already available. You can count 1 week of development for a basic activity. To keep the work interesting it is recommended to propose a mix of porting some activities and creating new one, either from the idea list or from an original idea you come with. You have to follow the instructions here and provide your exercise as a pull request. 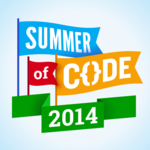 We welcome students who want to work on Krita for Google Summer of Code. If you want to work on Krita, keep in mind that we would like you to stay with the project, also outside Summer of Code. Summer of Code isn't just a summer job with some mentoring added -- it's a way of becoming part of the team. As one of it’s use cases, Krita’s vision statement includes painting textures for 3D. 3D textures are typically comprised of a number of separate black and white, RGB or RGBA images. Thus painting for textures typically requires painting on more than one single layer / channel at a time. For example painting a scratch into a metal surface may require painting black onto the bump channel, another colour on the diffuse channel, and another to the specularity channel (as well as possibly some others such as the displacement channel). All of these are affected simultaneously. Currently Krita’s painting system is only able to paint onto single layers at a time and brushes have not been designed in such a way as to allow adjusting multiple channels simultaneously as would be needed. This topic would require looking at how Krita’s current painting system could be extended to paint the necessary adjustments to the channels used in 3D rendering, show the textures created in OpenGL and then export those channels for use in 3D applications. Each layer has a toggle in the layers docker called "texture map" or similar. This is turned off by default. When active, the brush paints on *all* layers that currently have "texture map" active. When picking a colour, a dropdown lets the user pick "Default" or any active texture map layer. "Default" is just the current behaviour. If the user selects a layer in the dropdown, then the selected colour will be applied to that layer when painting on *any* layer. In the file or layer menu is an option "Export texture maps" which saves each texture map layer as an image. The layer name and extension appended automatically to the file name. For example, on a file called character.kra, the layer titled "colour" would be saved as "character-colour.jpg" (or whatever format was selected). For step 3, a simple, one click / shortcut, method is vital, as artists often have to check their material in their 3d app every few minutes, and wading through saving 10 layers individually, each with manual file naming and confirming file format settings each time is unacceptably slow. For any artist who requires this level of control, they can use Layers menu -> "Save Layer as Image" already in krita. Allowing artists to paint a single material rather than creating multiple separate image maps by hand, would make Krita formidable for painting 3D textures, and the most advanced open source application for 3D texturing. The ability for Krita to load manually selected sequences of color managed images as frames to be represented as a single layer in Krita. Optionally would be the ability to display playback at reduced resolutions to increase performance and to offset the time at which sequences were inserted. A “Timeline” docker which would display the current frame displayed, and allow clicking and dragging to different points in time, updating the image displayed in the canvas to match. Optional would be the ability to zoom and scroll the timeline, mark modified frames on the timeline, playback the image sequence, forwards and backwards as video (most likely only in the openGL mode of Krita or with an external tool like ffplay) and display times in a range of formate EG SMTP, PAL, NTSC, Secam etc. Updating the paint and transparency layer types, so that when Krita is using a frame sequence and one of these layer types is created, they also represent a series of frames rather than just a single image. This could possibly be a toggle switch on layers, much as visibility, alpha lock etc. are now. The ability to save layers that are displaying frame sequences out as frame sequences also, giving them user definable names (eg where to insert the frame number, how many digits to pad). Keyboard shortcuts to move forwards and backwards 1/10/100 frames, to jump to the start and end of the timeline and forward / backwards play if video playback is supported. Krita already has two text tools, but neither is suited for creating cartoon balloons. The system should allow the creation of vector-based balloons in different styles. The balloons can contain styled text. The text and balloons should be translatable and a system to select the current language should be created. It should be possible to save the balloon text to a separate file that can be used as input for translations. Finally, care must be taken to support right-left languages. We already did some research on the emulation of real-world paint and we do already have some essential pieces of it: Hairy Brush and Bumpmap filter. Now we need to bring this all together and allow a painter to use it easily, so that he could paint images like that: TODO. This project would involve creation of a special type of layer and a new colorspace, so the student should already be familiar with our layer stack and pigment code. Right now when one layer got changed our merger should walk through all the layers of the current group and compose all of them into projection one by one. But this doesn't take into account that COMPOSITE_OVER (which is the most popular composition mode) has an associativity property, which means we can merge all the layers below and all the layers above dirty one into two groups, and calculate a group of any size with only two composition operations, which would give huge speed advantages. After this project is done, we can start implementing layer composition on the GPU using openGL. This should result in animation brushes being more readily available and adjustable. The current way of doing this is not as userfriendly as it could be. Convert group to animation group ->Normal group becomes animation brush reference. This is a tool that should help in creating seamless (or as close as possible) textures for organic models. It will help in painting creases and other details across seams. Convert intersections on uvlayout to seam transfer points. Kexi is a visual database creator. It can be used for designing database applications, inserting and editing data, performing queries, and processing data. More info: Developers' wiki, web site for users, mailing list, IRC channel: #kexi and #calligra on Freenode. Brief explanation: Add support for importing (Kexi calls it data/design migration) tables from LibreOffice (or OpenOffice) Base (ODB format) to Kexi. This task involves research on ODB format (it's relatively openly defined). Qt/C++ shall be used for the task together with Java engine (HSQLDB) and probably connected via JNI. This could be introduction to later development of complete database import from ODB to a Kexi database. Expected results: In the GUI the feature shall be put in the same place as the import from MDB: External Data -> Import Tables -> Table Importing Wizard. Then user would see .odb support in the open file dialog, just like it has access to importing CSV or MDB. Sample .odb databases are available for this tutorial. Studying kexi/migration/importtablewizard.cpp which is a GUI taking an instance of implementation of a migrate driver derived from KexiMigration::KexiMigrate (in your case - the ODB driver). It's the m_migrateDriver attribute. In the actual C++ implementation, KoOdfReadStore class from calligra libs can be used to read contents of the .odb. Calligra is an office suite with lots of different applications with an user interface that is easy to use, highly customizable and extensible. More info: web site for users, mailing list, IRC channel: #calligra on Freenode. Brief explanation: One of the most fundamental basics of drawing is varying the width of your lines to show shape, form and perspective. Almost every line tapers at either end, and often gets thicker and thinner in different places as needed. For purely technical and histrorical reasons though, every vector program (Illustrator, Inkscape, Karbon etc) make curves all one hard width. This proposal is to create a variable width path shape / tool, much like the path tool, would allow drawing curves, but where each node could have its width set so that the line width changed smoothly from node to node. As a plugin for the Calligra suite, this would clearly benefit apps as Karbon and also Krita. Expected results: variable width path tool is able to change the width of any path node to an arbitary percentage (say 155%) of the stroke width. See http://bugsfiles.kde.org/attachment.cgi?id=56995 for mockup. The shape needs to be able to save and load in svg/odf. Knowledge Prerequisite: C++, Qt, SVG? Brief explanation: Calligra Author is a tool that will help writers create e-books. The two main target groups are novelists who write very long texts with complex and subtle relationships between different parts of the story and writers of e-textbooks that need features like multimedia and mathematical formulas. Until now the new features have been mainly supporting the last 3: writing (distraction free writing mode, insertion of separators), review (notes/annotations) and publishing (support for book covers and export filters to epub and mobi formats). This project is about the first phase: concept and planning. What we want to do is an outliner, which is a well-known concept in other writer's tools. See    for all necessary details. There should be user-definable categories in the database, but "Actors", "Items" and "Places" should be pre-defined by default. The main object is the "scene" A scene is defined as a text snippet of any length with connections to the database so that objects, places and items that are used in the scene can be clearly marked as such. Note that this means both items that are actually present in the scene and those that are merely mentioned. Possible metadata for a scene includes a textual description, actors, items and places that appear and/or are mentioned or referred to. The users should have views that identify relationships between these categories, such as "this item is used in this scene by that actor in that place". There should be timing relationships between scenes so that mistakes can be avoided (like events that happen later are mentioned in a scene that happens earlier). The scenes should be groupable to any hierarchy forming chapters, subchapters, and even books. These groups will form an ordered tree. The final text will be created by an ordering of the scenes in the tree with suitable headers entered in between. File format for storing this is still an open question but using the Open Document Format is a big plus. An idea is to use so called ODF sections as the snippets because these are embeddable into each other and RDF triples for the metadata. The database format can also be RDF triples since this database will most likely not very big. Knowledge Prerequisite: Good knowledge of C++ and Qt, a plus is knowledge of the open document format and the related C++ classes in the kde Calligra libraries. Calligra Sheets is a spreadsheet application which is part of the Calligra Suite. 1) Split View: This feature would allow the user to split the view into 2 or 4 parts of the same sheet. The contents of the sheet do not change, just that the user can view and edit different parts of the sheets simultaneously. 2) Record Changes: This feature would allow the user to record the changes he/she is making while editing a sheet. This can be achieved by highlighting the content which is changed in the session or highlighting the cell itself. 3) Auto-correct : This feature would allow the user to make less mistakes while working with a spreadsheet. It auto-corrects the contents of the cell while editing/writing into. 4) Merge Documents: This feature would allow the user to merge different documents. For the first version, you can start by appending sheets from different documents into one. If a user has say, 4 different documents containing 1-2 sheets each and wants to merge them into one, he must be able to do it easily by just selecting "Merge Documents" option. Expected results: It is expected that by the end of summer of code, the above 4 features would be developed, integrated and ready for release or at least put up for review. Keyboard layouts in KDE allow user to use multiple keyboard layouts and switch between them. It consists of keyboard configuration module (in System Settings), keyboard layout widget/applet, and keyboard layout daemon. Brief explanation: Input method and keyboard layout configuration are serving the same purpose - to allow users to type text in non-default language. Currently KDE has integrated system to configure keyboard layouts but IM need to be configured somewhere else. Also when IM is configured it takes over some functions of keyboard layout configuration. So it would be nice if we could have IM and keyboard layout configuration in one place. It seems that IBus has already gained community acceptance so this will be the target for integration into KDE keyboard module. Expected results: Keyboard configuration module in System settings will include IM configuration and it will be integrated with existing keyboard layout options. Brief explanation: Finish the kdev-clang plugin to make it a usable replacement for the existing C++ plugin. Expected results: All advanced features of the KDevelop C++ are ported to the kdev-clang plugin. This includes code completion helpers, as well as basic refactoring and assistant integration. Brief explanation: A generic framework should be created which provides the foundation for other plugins to report errors. Expected results: Right now we have the problems toolview but it is tightly coupled to the DUChain. This should be changed to use a separate item repository which stores the problems for a given path. The data stored would be: Path and range of where the issue is found, a short error message and optionally a long description. Furthermore, plugins might want to store additional info from which the problem could be fixed (compare to the 'add include path' or similar wizards we have already in the language framework). This framework should then be used to integrate various tools. Knowledge Prerequisite: C++, Qt. Knowledge of linters such as Valgrind etc. is helpful. Brief explanation: Rewrite the SVN plugin to use the C-API directly. Expected results: The existing SVN plugin uses an outdated kdevsvncpp checkout internally which causes troubles, warnings and licensing issues. Port the plugin to either the C-API of svn or alternatively try to reuse code from current kdevsvn. The result should be a tested, working plugin for SVN integration without licensing issues nor compile time warnings about usage of deprecated API. The KDE PIM community work on a set of libraries and applications for Personal Information Management, including email, calendaring, contacts, and feed aggregation. Brief explanation: The KHolidays library provides KDE applications with information on public holidays around the world, however the file format is very hard to use and maintain and the library features are very limited and restricted to Qt users. The goal of the OpenHolidays project is to develop a new open standard and data repository that can be used by any project that needs the data. See http://community.kde.org/KDE_PIM/KHolidays for more details. Mentor: John Layt and other KDE PIM community members. Expected results: Implementing the new search dialog and updating the backend search code to include whatever new features are required. Implementing this search dialog will require messing around with Akonadi, Baloo and KPeople. Knowledge Prerequisite: C++ and Qt. A basic understanding of Information Retrieval would be nice. Mentor: Vishesh Handa and other KDE PIM community members. Brief explanation: Active Mail is a QtQuick based mail application, a touch input friendly version of KMail so to speak. Currently it still depends on QtWidget based user interfaces for certain tasks which will have to be replaced before Active Mail can live up to its promise. Such missing pieces are the email composer and the email viewer. Expected results: Define and implement a general QtQuick API for composing emails. Rework the Active Mail composer UI/UX with the help of our usability expert and make it shine. Brief explanation: KDE PIM wants to make it's data accessible for applications which use QML to declare their user interfaces, e.g. applications using QtQuick. For that they need data handling objects that are accessible through QML, e.g. item models that have a mapping of string based role names to enum value based roles in C++, etc. Expected results: Define and implement a general QML API for accessing and creating Akonadis ToDo data. Write / Port a ToDo Plasmoid for Plasma Desktop or Plasma Active to show off the new API. Bonus: Port Kontact Touch Task to the new API instead of, or in addition to the Plasmoid. Brief explanation: KPeople is a KDE framework for aggregating contact information of people from various data sources, e.g. the user's addressbook and instant messaging programs. For the future KDE would like this to be the main source of data for its address book application. Expected results: Define and implement a QML API for accessing kPeoples features. Create a pretty QtQuick example App/Plasmoid to show off and prove the API. Bonus: Bonus: Port Kontact Touch Addressbook to the new API instead of, or in addition to the Example. Brief explanation: Akonadi is a system that enables uniform access to various data formats across a wide range of data sources. Its main clients are graphics end user applications such as KMail. However, in some cases it is advantageous if data manipulation can be automated. Power users or system administrators often employ the multitudes of Unix/Linux commandline tools to achieve such automation tasks. The idea is to provide a tool or set of tools that allow Akonadi operations to be used in such scripts. Expected results: A non-GUI program able to perform useful tasks on Akonadi provided data, like creating folders, adding/deleting/copying/moving data such as contacts or emails, etc. Simon is a speech recognition suite. Website - Mailing list - IRC channel: #kde-speech on Freenode. Brief explanation: Simon uses a multitude of different components: Scenarios, Base models, Shadow vocabulary, Language profiles, etc. While many of these components can be downloaded from within Simon, some can't and even for those that are better integrated, end-users still have to read additional documentation to know which components work together and which don't. The aim of this project is to bring the handling of these resources under a uniform and user-friendly interface. Specifically, the interface should resolve conflicts automatically and deduce an optimal default setup by itself (e.g. based on the system language and installed programs). Expected results: Much more user friendly setup. Resources: Some work (mostly brainstorming and UI design) was already conducted during Season of KDE 2013. Please contact me for details. This does not mean that this project is already assigned! fixing parts of the Telepathy stack. Current code is inside the repository ktp-call-ui. Expected results: Working multi conference video calls. Brief explanation: Telegram is an upcoming network that aims to replace WhatsApp. Unlike whatsapp it has an open protocol (https://telegram.org/) and is gaining popularity. We want support in our IM client. This should be done by creating a connection manager using TelepathyQt service bindings. When this is complete, not only will we get Telegram support, but due to the distributed nature of Telepathy it will also work for Jolla, Ubuntu Phone and Empathy. Brief explanation: Integrate the iOS platform with the Plasma desktop using libraries like libimobiledevice and kdeconnect. Expected results: Have an iOS application that is able to talk to KDE Connect and desktop integration using libimobiledevices. Expected results: Have a secure encryption algorithm implemented in both KDE (C++/Qt) and Android (Java) clients. Knowledge Prerequisite: Deep knowledge about encryption and security. Brief explanation: Extend libbluedevil to have an asynchronous api, and port bluedevil to it. Expected results: libbluedevil should have an asynchronous api, and bluedevil should be ported to them. Brief explanation: Improve the content sharing experience in Plasma by extending and improving Samba share, implementing other ways of sharing and write new ways of discovering other people's shares. Expected results: It should be possible to discover "shares" using dolphin (possibly via a new kioslave?) and it should be possible to share a folder between two Plasma computers really fast and easy (possibly implementing an http server plus discovery via avahi). Knowledge Prerequisite: C++/Qt, extra points for KIO experience. KDE's Plasma Media Center (PMC) is aimed towards a unified media experience on PCs, Tablets, Netbooks, TVs and any other device that is capable of running KDE software. PMC can be used to view images, play music or watch videos. Media files can be on the local filesystem or accessed with KDE’s Desktop Search. Please use plasma-devel AT kde.org to discuss your ideas and proposals. Brief explanation: Simon is an open source speech recognition program that can replace your mouse and keyboard. The system is designed to be as flexible as possible and will work with any language or dialect. This project aims at integrating it with Plasma Media Center to control it. Brief explanation: Plasma Next is the refreshed Plasma workspace written using the new KF5, Qt5 and QtQuick2 frameworks. Plasma Next is able to switch to different modes/formfactors on-the-fly (such as desktop, netbook, tablet). We want to be able to make Plasma Next able to switch into a media center mode. Expected results: After the project is complete, the Plasma Next shell should be able to switch to a Media Center mode and offer every feature that the standalone Plasma Media Center application provides. Examples are ability to browse media, playback, playlists etc. Brief explanation: https://en.wikipedia.org/wiki/Kaffeine is a KDE media player which supports playing TV using DVB. Our users have ben requesting for this support in PMC as well so that it becomes possible to watch TV as well. Expected results: Once the project is completed, Plasma Media Center should be able to play streams from a TV card with DVB support. There should be feature parity with Kaffeine. Mentor: Mentor wanted with DVB knowledge for the DVB bits. Brief Explanation: The app currently uses Rails 3.2. The test suite needs to be completed and the project should be upgraded to use Rails 4. Also, more reports are to be added. For example, forum activity, social media activity, blog activity(dot.kde.org and planet.kde.org) and others. Expected results: Upgraded reports app with a complete test suite and more reports. Trojitá is a fast IMAP e-mail client. Since late 2012, it is a part of KDE's extragear. The project focuses on delivering a usable, fast, standards-compliant, cross-platform and reliable e-mail client which can scale from cell phones to huge e-mail archives without annoying slowdowns. Brief explanation: It would be cool to have support for encrypted and signed messages, both with GnuPG and S/MIME (X.509). The QCA library provides the required infrastructure, but this task would still require a fair bit of hacking, including working on a client-side MIME parser in Trojitá. Expected results: Add support for creating, reading and verifying the GnuPG and X.509-wrapped messages. Knowledge Prerequisites: Decent knowledge of C++ programming, familiarity with Qt, willingness to use GPG. Being able and willing to work with the community. Must-have checklist: Get in touch with the developers, subscribe to the mailing list, learn how to use Trojitá. Perhaps there are some features that you find lacking -- go and add them. Perhaps there's a bug which is annoying -- fix it! Get involved in Trojita's development. It is a prerequisite to have at least one patch in Trojitá in order to be considered for application. This page was last modified on 18 February 2015, at 09:04. Content is available under Creative Commons License SA 4.0 unless otherwise noted.